The Futon Company makes futons. That’s what I thought, when we bought a futon from the Futon Company 15 years ago for our new home. I also continued to think it until last week, when I returned to the Futon Company, and had a lovely surprise. Not only do they make other things than futons, but they also make lots of things (both futons and other product) that I would like to buy for myself. I have to admit that my purchasing of homewares has been very low this past decade. I worked for a high street furniture and home accessories company for a long while; part of this time was spent working in their samples department, and being a very good customer at my own very good sample sales. I no longer work surrounded by goodies for the home, and as a result things chez nous look a bit in need of colour renewal and basic sprucing up. When looking for new things for the home, I always tend towards the practical, compact, stylish and good quality. The Futon Company is all about these values. I popped into the store on Tottenham Court Road and was made to feel welcome by the extremely helpful and approachable staff. There is a nice area set up with Christmas gifts and decorations which I really hadn’t expected to find, even some Christmas cards. I loved the large star and heart decorations made from buttons and the tree decs made from feathers. If it wasn’t for my kitten I would definitely get a few feathery decorations for my tree. There were also some very pretty tea light holders made from houses. I can just imagine how candle light will trickle pleasingly through the windows and doors. The gift section is very well priced and there are some very stylish toys, including a sledge which makes me impatient for the snow. I was also impressed by the Reading Clip lamps, which come in lovely muted shades and are brilliant for the practical reading in bed scenario. There are some fun cushions in the textiles offer. Vultures and toucans if you are into birds, even a wild turkey for Christmas, the Truman Brewery or the Angel of the North if you have a favourite landmark. 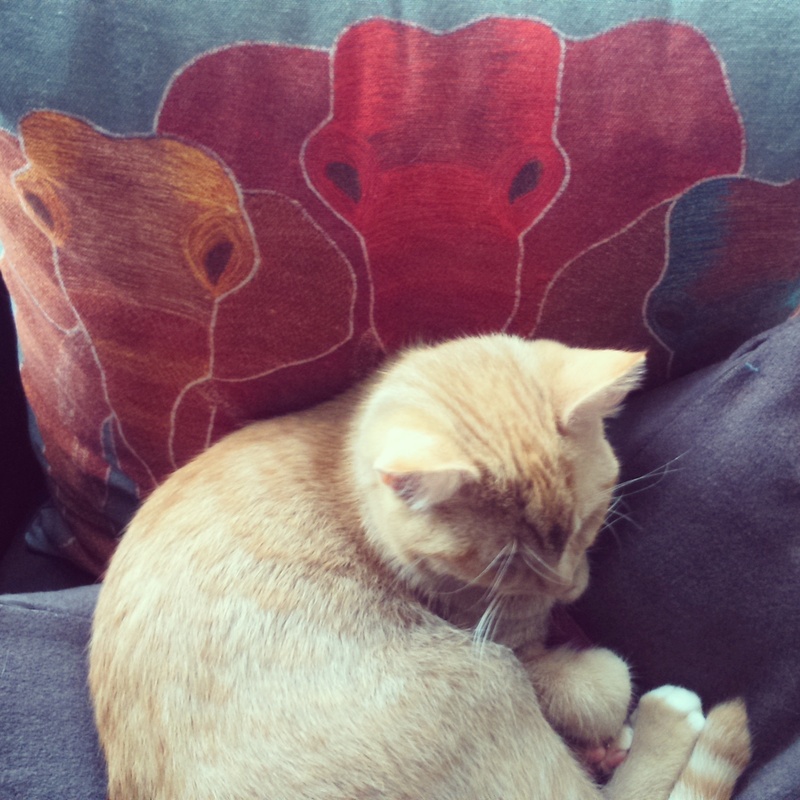 I myself chose to take home the Elephants cushion, which has proven to be a very comfortable backrest with certain (aforementioned) members of the family. 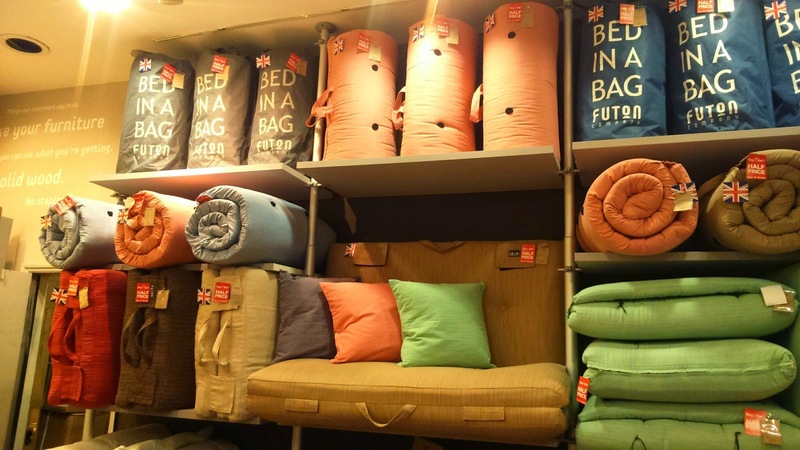 The Tottenham Court Road store is also showcasing the new project Design Masters, which is where the Futon Company gets back to its design roots. The pieces are innovative, stylish designs made by external designer makers from the UK and Europe. Some of my favourites in store were the Demoiselle Low shelving (by Nell Beale/CoucouManou), the cute little Pooch table (by John Weaver) and the Robot side table and sideboard (by &New). This installation is only in store for a few more days so if you want to catch it, go soon! Design Masters aside, the Futon Company makes some fantastic space-saving furniture. Everything has dual functions, to make the most of our increasingly compact living spaces. 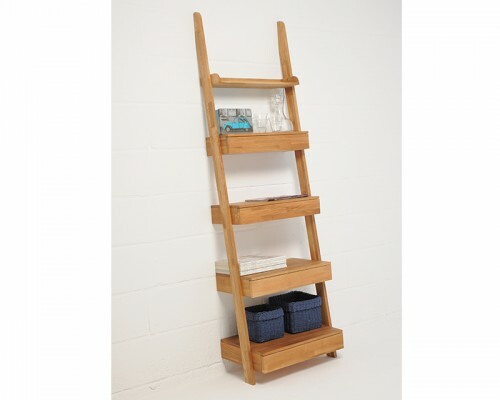 I am still eyeing up the Oak Ladder Drawers, with its slim footprint, but which can hide away a lot of unseemly clutter in its subtle drawers. Of course the Futon Company do make futons. Their latest design, the Twingle sofa bed, is so easy to convert that I managed it myself with practically one finger. As with everything in the shop, its space-saving footprint offers a lot to the city-dweller. I hear that Rizzle Kicks are fans of the futons too. I was also drawn to the best-selling tatami mats, which you buy in a single size, but you can zip on to another single to make a double. In fact, if you are a keen glamper, you might have come across these mattresses before at the yurts at Glastonbury. Also the ‘Bed in a Bag’, which I actually do need in my life. They are an absolute steal of a price, and for kids’ (and babysitters’) sleepovers they are worth their weight in gold. All in all I learnt an important thing at the Futon Company. They are not just about futons. They are expert at futons, and since introducing them to the UK in 1980 they really do know how to make them properly. But they do so much more, and always considering the smaller space living which is now commonplace for most London-dwellers. 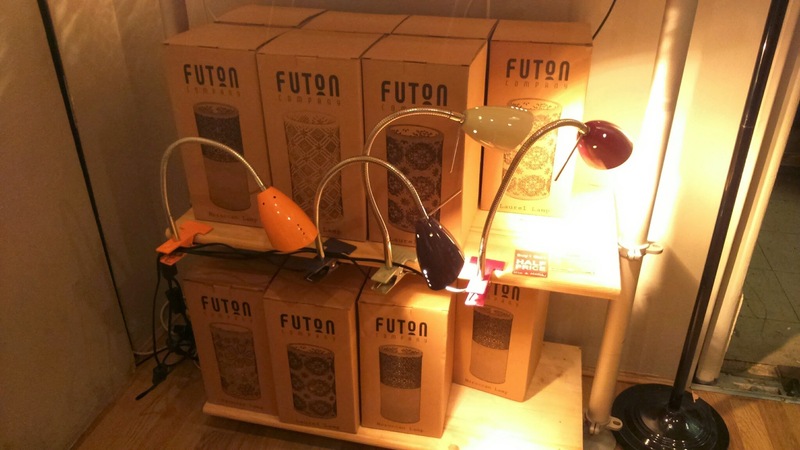 You can find the Futon Company at their website http://www.futoncompany.co.uk and on their Twitter handle https://twitter.com/futoncompany. You might even live near to a store. The Futon Company has 21 shops nationwide. Disclaimer: I was given a cushion by the Futon Company. All opinions are my own. Posted in Reviews, ShoppingTagged Bed in a Bag, Christmas, furniture, futons, glamping, home accessories, sleepover, space, tatami, The Futon CompanyBookmark the permalink.